I didn’t set out to make this Kindle book. My mission was only to create an hour-long audiobook version of 50 original poems that work well when read aloud. But when I went to set it up on Audible, I realized I forgot one important thing, something so important that I need to revise my article on Ten Things I Learned from Making My First Audiobook. To create an audiobook on Audible, you need to have either the print or ebook version already listed on Amazon. Oops! Fortunately, it was pretty easy, since all but two of the poems previously appeared in Kindle books. Mostly it was a copy-and-paste job from earlier files, and a little re-formatting. Plus, I needed to take my audiobook cover, which was formatted at 2400×2400 pixels, and recreate it in Kindle-friendly dimensions. Since I had saved the original source file with all the image elements and text in separate layers, it took only minor brain surgery to reshape it. Kindle got their version listed on Amazon in less than 24 hours after I uploaded files, which is pretty amazing. Then I could carry on with the audiobook setup. But the event reminded me of a conversation I had with one of my oldest and most commercially successful artist friends last week. He ran into all sorts of unexpected technological problems with a current project, and he encountered major frustrations with contractors he’d enlisted to do some of the work. After a little venting and commiserating, we realized no one tells you something very important when you decide to create art: you will need to be a hell of a lot more things than an artist, and learn about many more things than only what you need to know to create in your chosen medium. You’ll need to learn how to manage projects involving other people. You’ll need to learn marketing principles if you ever hope to get your work in front of other people. You’ll need to learn tools and technologies to create and sell your work. You’ll need to become a researcher. We agreed the research aspect is especially universal, whether you write fiction or build mosaics, and even if you work entirely solo in a cave and don’t need to learn project management. You’ll research software, practical techniques and theory, ways other people have already tackled your subject, vendors who might supply you, how to ship art to other countries, potential online platforms to sell your art, and a million things that make a comprehensive list impossible to compile. My friend does a ton of research to create physical objects, and you would not believe the multitude of things I’ve researched to write fiction. From Asian gangs in San Francisco in the 1990s, to gambling and horse racing in the American colonies in the 1700s; from how gunpowder works, to the mathematics of gravity; from the history of launching animals into space, to octopus biology—sometimes you set out to write a simple scene and learn nothing is quite so simple as you assumed. Maybe the worst advice I ever hear given to new writers is, “Write what you know.” What we know is such a tiny fraction of all possible knowledge and experience. Writing what you currently know, or only making art you currently know how to do, is a surefire way to make sure you never grow. Better advice is summed up in the title of the short but insightful book, Writing to Learn. If I stuck to what I knew at age 20 in 1993, I’d still be stapling together photocopied pages of hand-written poems. I wouldn’t have a clue about why gunpowder works in a vacuum. I wouldn’t know a thing about the FCC’s 2015 Open Internet Order that lies at the heart of recent headlines about net neutrality. 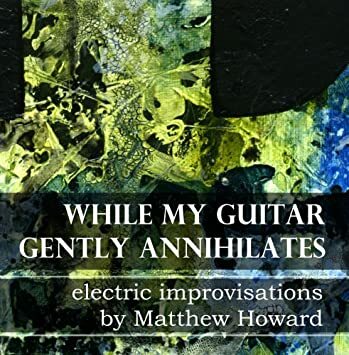 And I wouldn’t know a thing about using audio and graphics software to produce this collection of 50 poems, which was the original point of this post. Am I now the expert on all things? Absolutely not. But I learned a hell of a lot and vastly expanded my skills and knowledge, so much so that people now come to me for consultation on producing their own works. Do I have room to grow and improve? Undoubtedly. There are so many things I am not as good at as I want to be. But with every project I tackle, from painting mountains to doing a book cover to writing a poem, I’m on a mission to learn and improve. Sometimes it’s painful to look at earlier works and see how many things I could have done better. But that’s a good thing, because it means I learned something along the way. At age 44, if I had any one piece of advice to give younger artists and writers and musicians, it would be this: put your ego aside and be open to criticism, and be willing to learn and improve, because your journey as an artist never ends. The horizon is forever receding, and the only way to keep up with it is to keep learning. The text-only Kindle edition of Inner Planets: 50 Poems is now available for $2.99. The hour-long audiobook edition is now available on Audible, Amazon, and iTunes.